#FoodReview: Dragon Rolls & Salmon Carpaccio: We Just Ate Our Hearts Out @ Newbie Nagai! 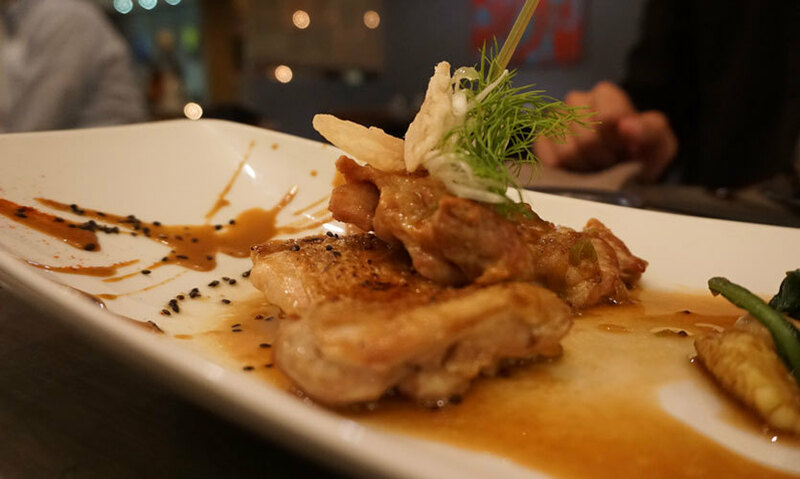 Named after its global head chef Reina Nagai, Nagai is a contemporary Japanese restaurant with the most exquisite and authentic Japanese fusion fare which is incomparable with any other place serving sushi in the NCR region! After a successful stint in Ibiza, it's opened its doors to all in the Sector 29 area of Gurgaon. From the most delicately prepared sushi to pickled vegetables or the Lotus Flower Salad, Nagai’s menu exudes refinement and delicacy in each and every one of its dishes. The moment you step in, you’re bound to be blown away by the suavity and calm in its decor that's got some really beautiful paintings and overall ambient lighting. 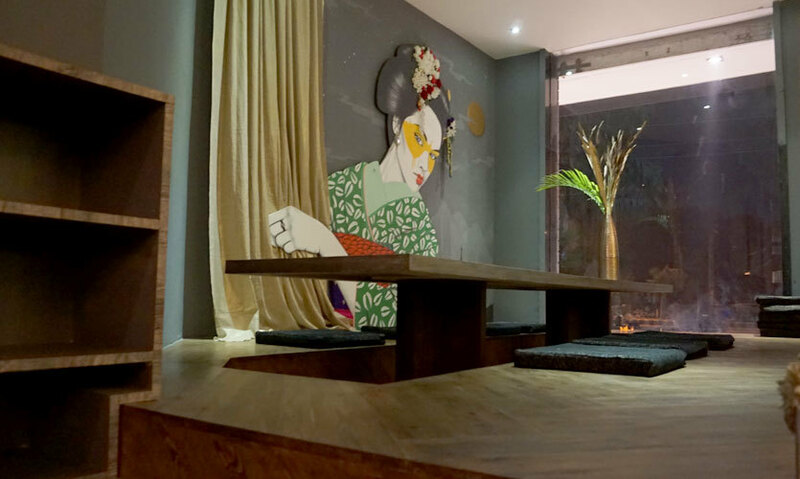 The interiors of the restaurant have been done-up in consonance with influences of contemporary Japanese style, one of the examples being their Japanese-style floor seating area. 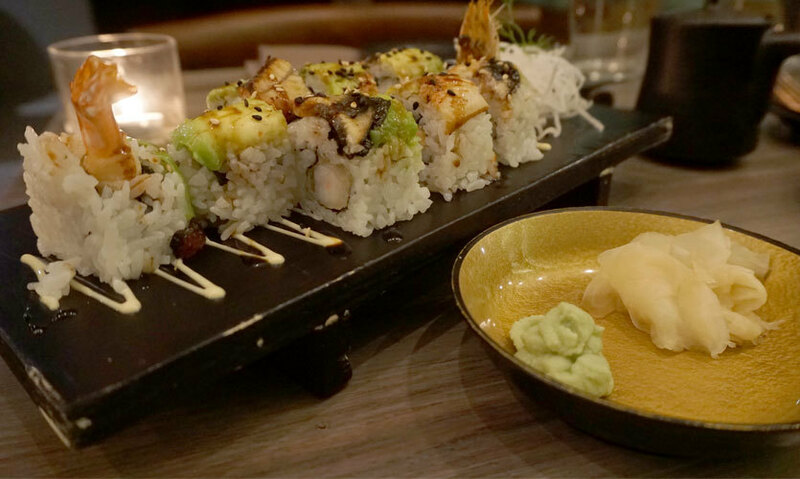 For those who are trying sushi and Japanese cuisine for the first time, not to worry, Nagai has very personalized service with individual attention to each table to cater to all your questions and to help you choose. You're guaranteed to be swept away by the flawlessness of Nagai. 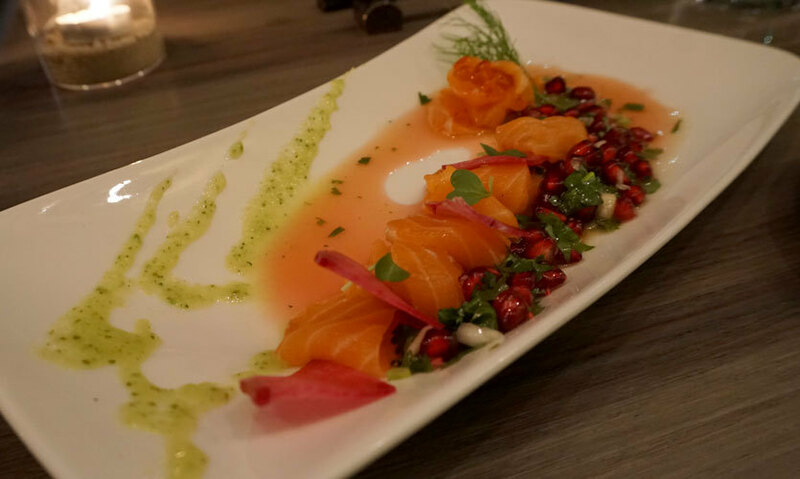 The Salmon Carpaccio at Nagai is prepared with chilli, coriander and pomegranate sauce, with pomegranate and coriander sprinkled on top of the salmon and a dash of mint, thus giving the most delectable and refreshing flavour to the thinly sliced, fresh salmon. We recommend you having a bit of ginger with it, which will surprisingly add a bittersweet flavour to the salmon! As you might know, Wok is a simple Asian side dish of stir fried veggies. 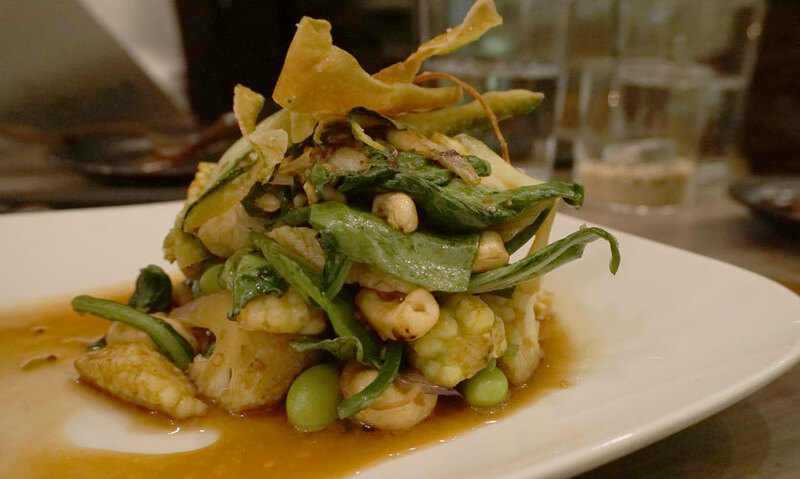 To make things interesting, they’ve added cashews and Edamame (preparation of immature soybeans in the pod) which quite richly enhance the taste of your usual wok. On top of that, it also has loads of baby-corn to add a crunch. Nice touch, there! Okay the Dragon Roll has to be the best thing about Nagai, which is probably why it is also one of their signature dishes! Prepared with Prawn Tempura, avocado and roasted eel, the classic ultra-light Tempura batter goes perfectly hand in hand with the roasted eel. We highly recommend having this one with a tinge of wasabi paste mixed in soy - nom nom! Their Grilled Chicken is so soft and feels so fresh on your taste buds that you simply can’t resist a second serving! And in case you somehow manage to resist, the ever lasting vibrant flavours of honey mustard will not fail you. What’s worth taking a note of here is that unlike most places, the chef had cooked the Grilled Chicken Honey Mustard to such perfection that you can feel the sweet essence of honey, but it’s not too overwhelming to ruin the taste, which is quite rare. The Japanese version of fried chicken is the Karaage Crispy Chicken. 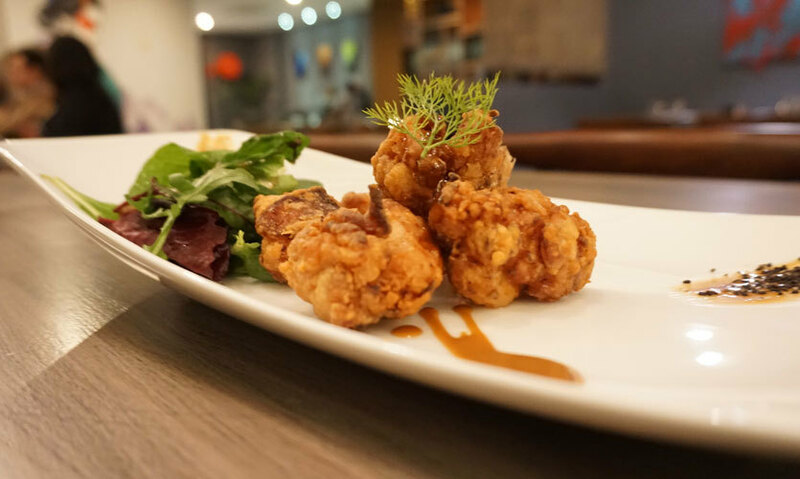 Often mistaken to be the exactly the same, in Karaage Chicken, the flavouring including soy sauce, garlic etc is slathered onto the chicken before you put it in flour, as opposed to fried chicken elsewhere, where flavour is added in the flour. And this exact difference brings out the flavour quite differently and the taste of the chicken itself is greatly enhanced. Chicken lovers have to try this one to see what they’re missing! A Millefeuille is actually a French pastry mainly comprising layers of puff. 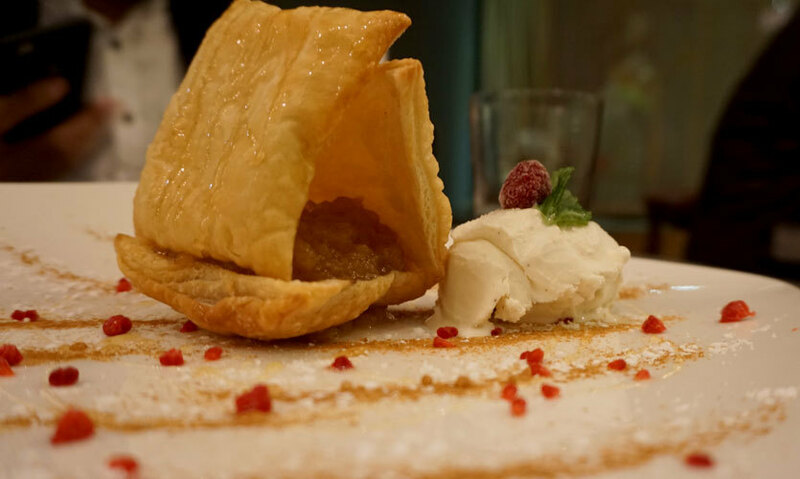 The Apple and Cinnamon Millefeuille at Nagai is served in the most unusual and fascinating manner, along with Vanilla Ice Cream and we have got to admit that there hasn’t been a more brilliant use of vanilla ice cream that we've seen! Ordering this one with some anticipation, all our doubts were cleared as we took our first bite of the puff and the sweet apple cinnamon paste with ice-cream. With all this, and a bar menu on its way, Nagai is all set to dazzle everyone with its worldly dishes and personalized service while setting new standards for fine dining. Book your table now!